With CS:GO enthusiasts pre-occupied thanks to the ongoing ESL Pro League and many other events to look forward to for the rest of the calendar year, we'd like to grab the attention of local competitors with our next event, The GO Malta eSports Festival 2017. To spell it out, we'll be hosting a CS:GO tournament at the event, to find out who sits on top locally. The title really doesn't need any introduction, we've included it countless times in many of our events, but for the benefit of the doubt, here's the breakdown. Two teams, Counter-Terrorists and Terrorists, gather on each side of a chosen map. Starting out with equal amounts of funds, players buy weapons through a menu. The game progresses using rounds, won by either exploding or defusing a bomb, depending on what side you find yourself, or simply by eliminating the whole of the enemy team. 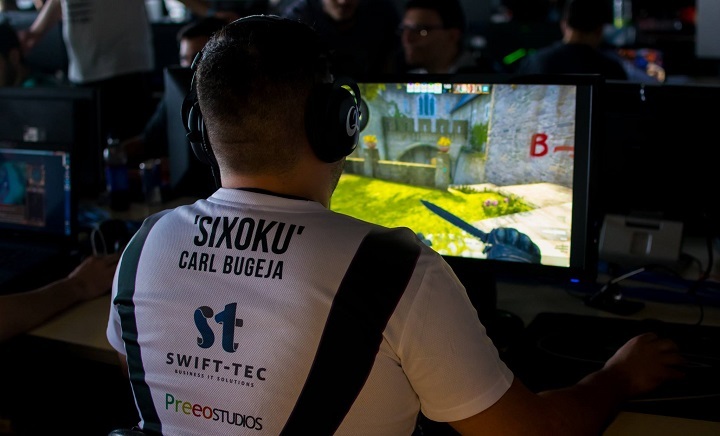 As economy increases, many factors come into play to make CS:GO the very successful esport that it is. First team to 16 rounds wins, following the half time after 15 rounds of play. Most local players know these rules like the back of their hand, always improving and trying to define themselves at these events. Although the title is over 5 years old, many competitors have been satisfied by the continuous updates and add-ons, including map re-skins which spice things up now and then. Competitively, it also goes through a lot of changes, constantly introducing new regulations and ideas. Now that China has official access to the FPS, which we covered here: http://www.gamers.com.mt/news/479/china-finally-gets-its-hands-on-cs-go, the possibilities keep growing. Alongside League of Legends and PUBG, CS:GO is one of the larger title we'll be featuring in the event; expect vicious games, emotional victories and hard-fought losses all throughout the weekend. This will also be spurred by the prize pool which awaits, we don't have the exact numbers yet, but trust us when we say it will be worth everything you'll have to go through to take it home. Tell us your feelings about including the title below and perhaps tag those potential teammates. Be sure to enter before we sell out!